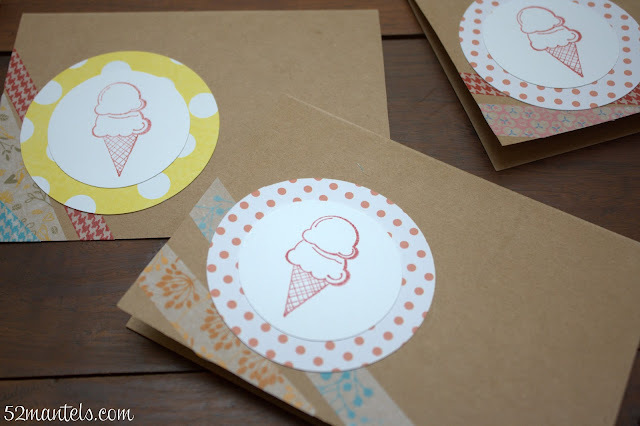 52 Mantels: Ice Cream Birthday Party! Are you ready for a lot of pictures?? 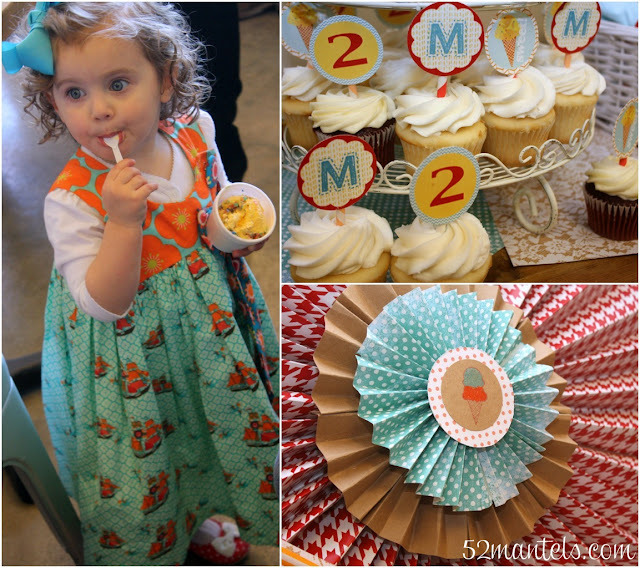 On Saturday, we threw a fun, ice cream-themed, 2nd birthday party for our sweet daughter. It was such a good time! And, though we didn't go ALL out like last year's "Tweet" Birdie-Themed 1st Birthday Party, we did put together a pretty cute affair (if I do say so myself!). The party was held at a local, family-owned ice cream shoppe called Sweet Firefly. If you live in the Dallas area, this place is a must-go! Sweet Firefly is so cute and yummy, which makes throwing a party a total breeze. And, because we had the party from 10-12, before they'd opened to the public, we got the whole place to ourselves. Sweet, huh? We decided to keep the party small, just family and a few close friends. Little M had a blast with her cousins! 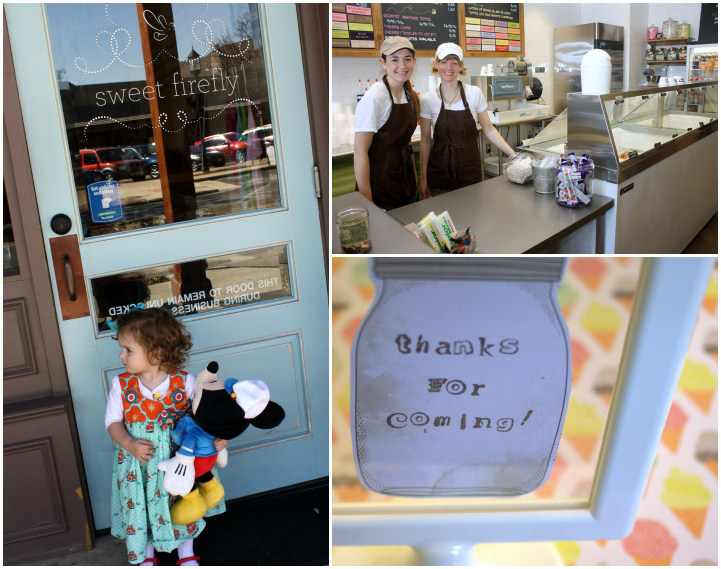 And, she had a blast sneaking bites of all the sweet goodies: ice cream and cupcakes and cookies...oh my! 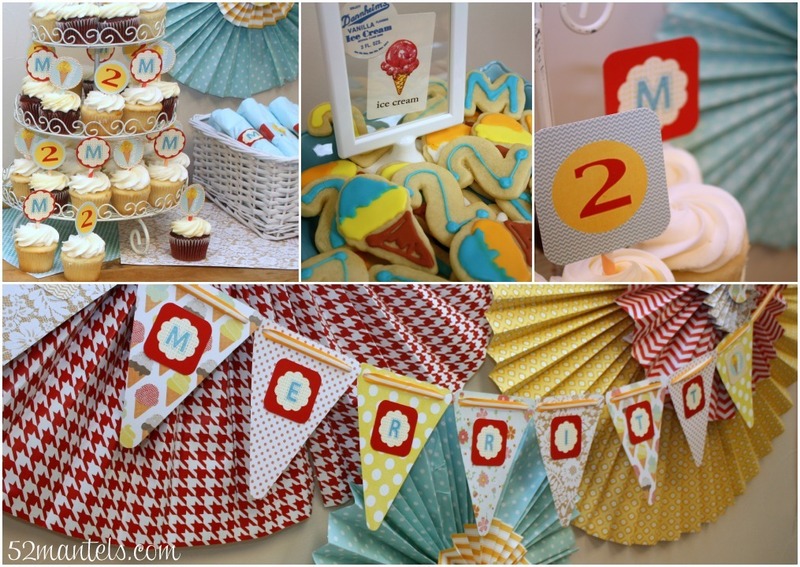 Details, details: I created 3 designs, which I used for all the paper goods: cupcake toppers, napkin rings and favor tags. 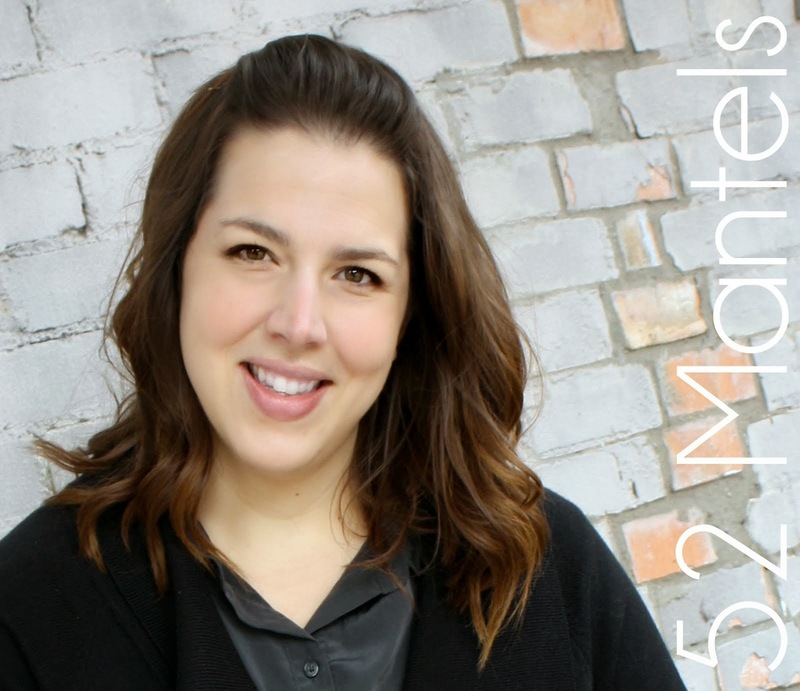 I'll share an un-personalized version of my printables with you next week! More details: Merritt's sweet dress is by Jelly the Pug (purchased from Zulily last month). 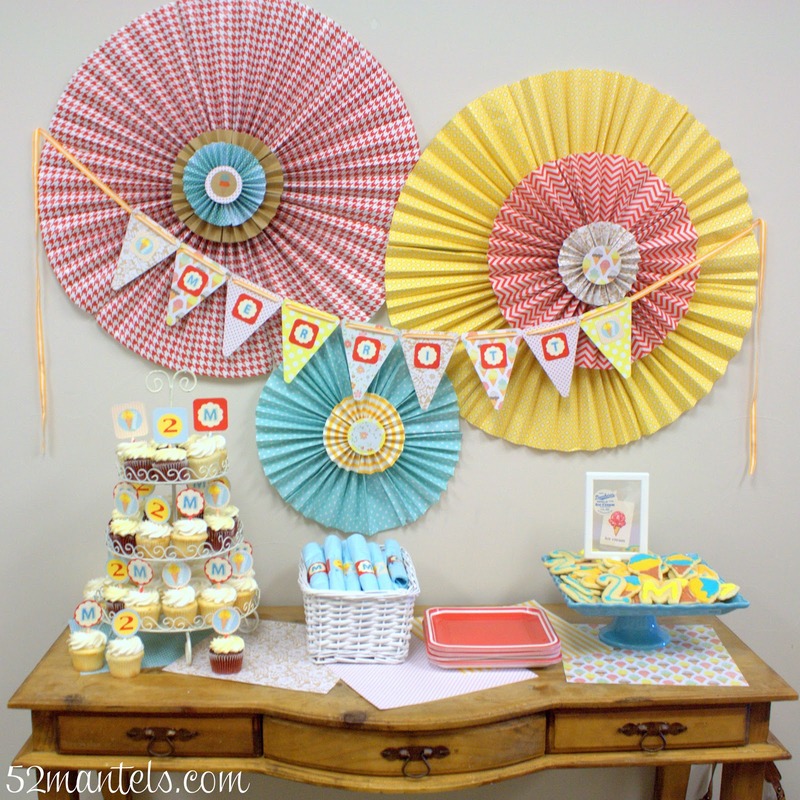 If you need a tutorial for the pinwheels, here's a great one to refer to. The cookie cutters (ice cream cone, M and 2) are from The Cookie Cutter Company. Tons of cookie cutters, all for $1-- can't beat that! The white, backless display frames are from ikea (also $1!). I made the invitations with kraft paper cards, a sweet ice cream stamp, various scrapbook paper and mis-matched washi tape. Each card was slightly different and altogether cost me about $6. Cheap, easy and fun! If you follow me on facebook or instagram, you may remember a poll I posted about our party colors. I initially thought I'd do an aqua and red scheme, but then polled to see if I should add tangerine. The results were a resounding YES! After shopping for supplies, I realized I wasn't finding much tangerine, so I added yellow as well. Adding the fourth color really opened up my options. In the end, I'm glad I went with red, aqua, tangerine and yellow. It was perfect! All in all, it was a fun party! Little M had a blast, which means success in my book :). ***Update: the free party printables are here! Happy Birthday! Looks like a great party! Super cute! I bet she had a great time. And yes, 2 year old's are precious, feisty and interesting....hang on, Mama! So adorable! I love the colors and the setup! Adorable Emily!! What an awesome idea! Emily, the party looks so precious and Merritt looks beautiful! I'm sure she had a wonderful day and Happy Birthday to her! It's a big day for you too! Oh my gosh, is she the cutest or what??? Even when she cries! She's precious!! Looks like she had an incredibly awesome birthday!! So cute--you did great with all those colors! Aw... what an adorable party. 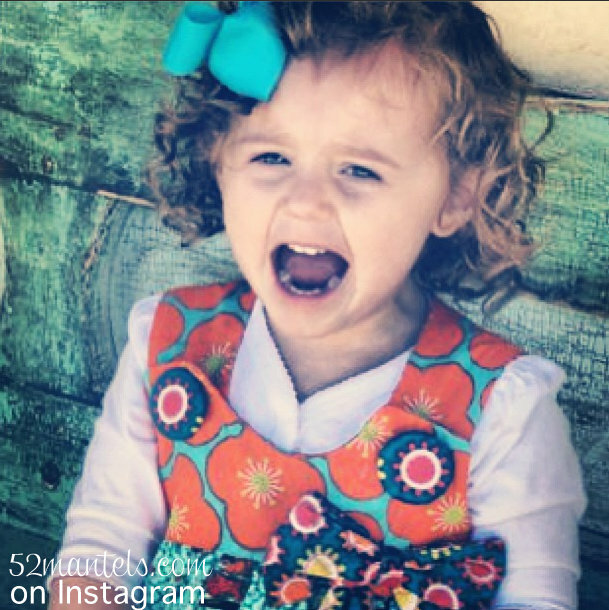 You've got a super cute 2 year old on your hands, too! My little girl is about to turn 3 and it seems like her second birthday was just last week. :( Why does the time have to pass so quickly? I'd be thrilled if you'd link this party up at Off the Hook! Holy wow!! Love it, Em! Incredible! I love all of the pretty colors! It looks like your little cutie had a fun time, too. 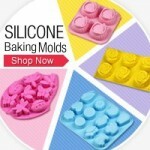 I am also going to have to check out this cookie cutter website. What a lovely party. 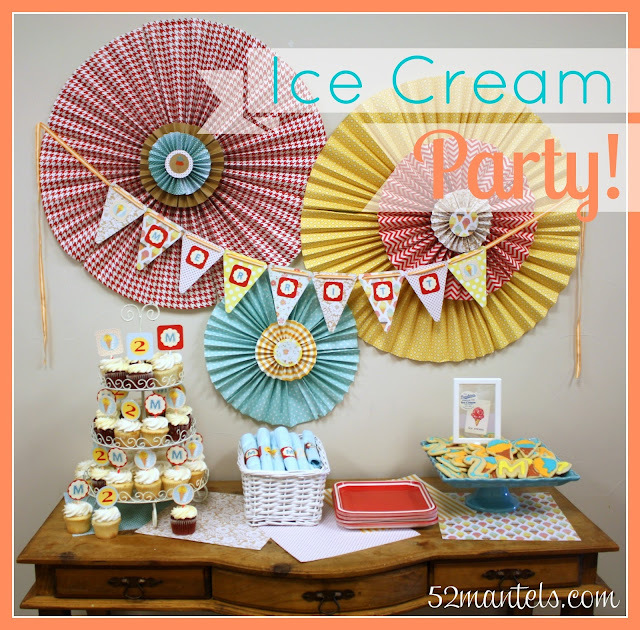 Such great decor, and who doesn't love ICE CREAM!?!?! 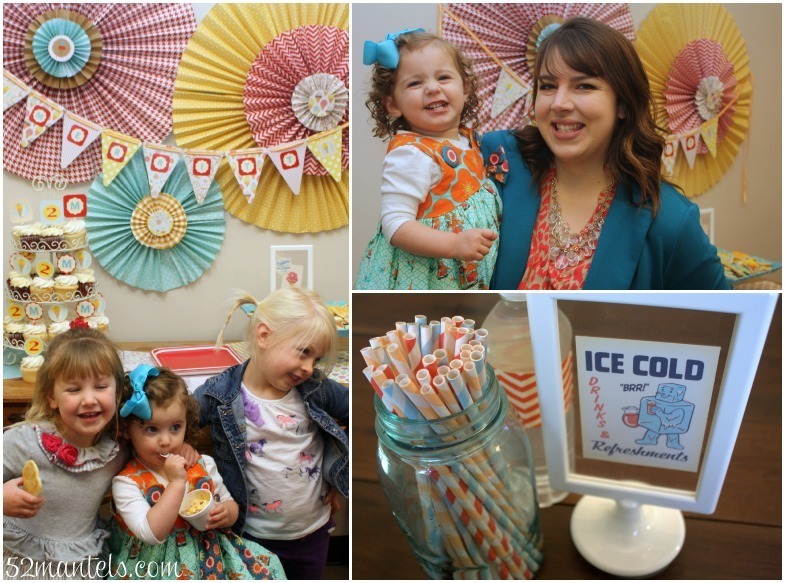 I am in love with this party! Seriously! It is the cutest thing! 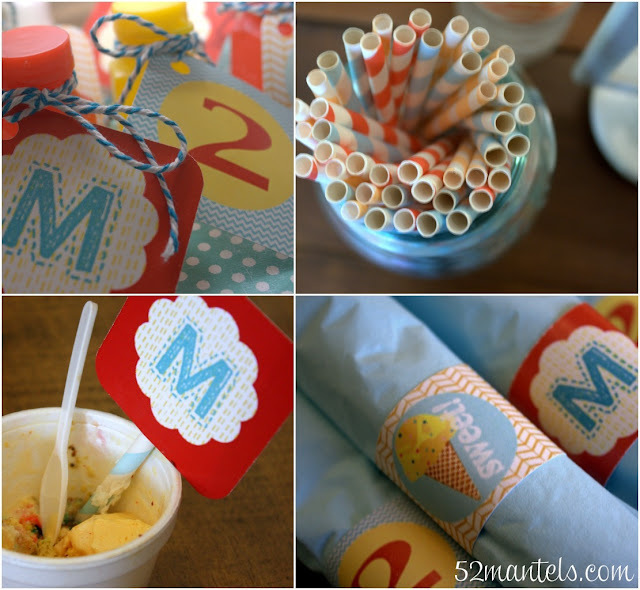 I am pinning this so I can remember it when my little girl has her next birthday! Visiting from The Frugal Girls. Emily... it is all SO adorable! Hope you enjoy your trip! این پارک پرنده در باغ زیبایی در کوالالامپور واقع شده که به مکانی دیدنی برای بسیاری از خانواده ها بدل گردیده است در این منطقه بیش از ۳۰۰۰ پرنده از ۲۰۰ گونه مختلف نگهداری می شود. از چهار منطقه تقسیم شده سه منطقه آن برای پرواز پرندگان آزاد می باشد و پرنده ها آزاد هستند در هر کجا این زیستگاه طبیعی و پرواز کنند؛ توصیه می کنیم در تور مالزی نوروز ۹۷ حتما از این پارک نیز دیدن کنید. براساس گزارش های سال ۲۰۱۰ در حدود دو میلیون گردشگر از این کشور دیدن کرده اند که این آمار تا به امروز و پس از گذشت ۶ سال سالانه رشد بسیار خوبی داشته است. در ادامه قصد داریم تا شما دوستان و همراهان همیشگی را با دیدنی ترین و منحصر به فرد ترین جاذبه های گردشگری مالزی آشنا کنیم. معبد مقدس دندان بودا یکی از غیر معمول‌ترین‌ها معابد دنیا است. در اواخر ۱۹۸۰ زمانی که یک معبد بودایی برای اولین بار به محله چینی‌های سنگاپور پیشنهاد شد، قرار بود که به یک معبد سنتی‌تر تبدیل شود اما به مرور زمان این معبد تبدیل به معبد مقدس دندان، یک خانه برای یک یادگار مقدس دندان از بودا شد. زیبایی های این معبد بسیار خیره کننده می باشد معبد در قلب محله چینی‌ها قرار گرفته است. مطمئنا با حضور در این معبد می توانید اطلاعات مفید زیادی در خصوص آیین بودای مردم این کشور کسب کنید. پیشنهاد می کنیم بازدید از این معبد را در برنامه تور سنگاپور نوروزی خود قرار دهید. داریم تا تعدادی 7 تا از معروف ترین سواحل ترکیه را برای شما همراهان همیشگی معرفی کنید پس با e-turkey همراه باشید.